It’s bad enough when a tenant runs out owing you money. Or, when you have to dispose of the couch they tossed to the curb before they left behind a messy unit. But nothing beats the trauma of re-entering your unit to find abandoned pets. Often, these animals are scared and frantic from lack of food or water. One realtor discovered a Rottweiler living in the bushes behind a foreclosed home she was listing. Desperate for water, he had punctured a jug of anti-freeze and was drinking what he could as she arrived. With the foreclosure crisis looming, many animal shelters are brimming with abandoned animals. As a result, more of these animals may end up euthanized than find homes. A number of grassroots organizations are attempting to rescue these animals in need by taking on some of the overload. Let’s consider what you need to do as a landlord when you find an abandoned pet. You have legally evicted the tenant. If the animal is legally abandoned, consider safety first – yours and your neighbors’. You don’t know why the animal was abandoned. You are assuming it is because the owner couldn’t afford its care, but it may be sick, or vicious. The animal is stressed, and may behave badly. This is especially true if it has been foraging for food or water, or spooked by strangers around the property – workers, kids making noise in neighboring yards. A dog may continue to dutifully guard the premises and view you as an intruder. If you were aware that a pet was on your premises, you may be liable for any injuries to neighbors, including other tenants. See more on Landlord Liability for pets. For these reasons, calling your local police department’s animal control to file a report and request they remove the pet may be your most prudent choice. 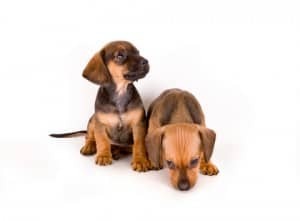 Not only is it best to go with the trained professionals, but depending on the animal’s condition at the time, the tenant may have committed a crime. It is best for the police to record how the animal was treated. Alternatively, you can bring the animal to a shelter. But with the foreclosure crisis still looming, the shelters in hard-hit areas are brimming with abandoned animals. As a result, more of these animals will be euthanized than find homes, to the anguish of those directing these programs. They may not be keen to take on yet another pet. A number of grassroots organizations are trying to step in by taking care of animals when there is no room at the shelters. But not everyone calls the police or takes the animal to a shelter. One landlord felt such pity for an abandoned dog, he took it home. The two bonded, and have been best friends ever since. While that’s a happy ending to a tragic story, landlords can’t be expected to take in every pet they find abandoned. Whatever you choose to do, remember that there are laws protecting a tenant’s property – even when it is abandoned. Once you take “possession” you need to follow the rules regarding notice to the tenant or face financial penalties in many states. James Safonov is a profession Property Manager with HomePointe in Sacramento, California. You can reach James at jsafonov@homepointe.com. HomePointe provides full service property management, leasing, accounting, and maintenance. See our feature Three Common Ways to Botch an Eviction.